The Sumter Opera House is located on North Main Street in the heart of downtown Sumter. The historic Opera House is downtown's center focal point and crown jewel. As a center for the performing arts, the Opera House has several successful monthly programs and special performances throughout the year, ranging from film, dance, theater, concerts, and beyond. 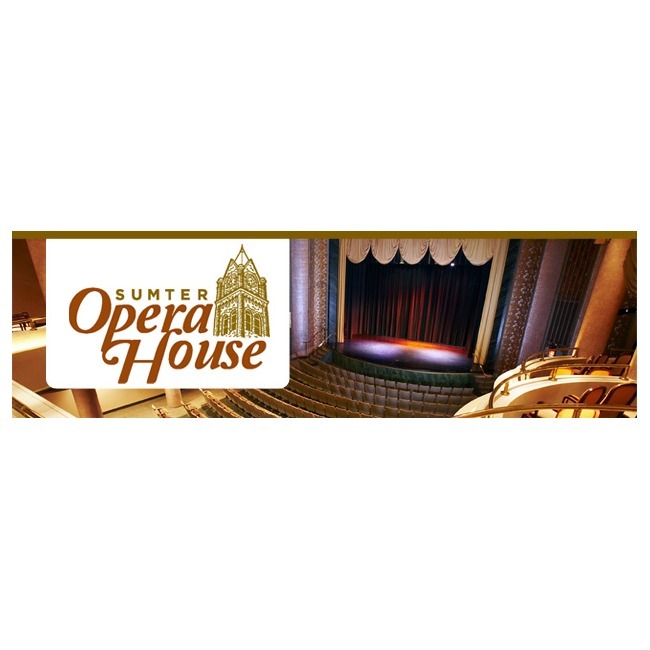 The historic Sumter Opera House invites you to be entertained through its diverse and affordable cultural performances. The Opera House still houses City Hall and many of the City's departments and offices, including City Council's chambers. The first floor auditorium is a popular and gorgeous facility that hosts local, regional, and even national talent on a regular basis. Recent performers include comedians Gallagher and James Gregory, as well as Grammy-Award winner Linda Davis and country music star Lee Brice. Performances by local groups, many of them free to the public, are also a common occurrence. The Sumter High School Jazz Band, the Sumter-Shaw Community Concert Band, the Sumter Civic Chorale, and the Sumter Community Jazz Band have all performed at the Opera House. Many grade schools and colleges hold their graduation ceremonies in the Opera House each year. Not only is the Opera House a state-of-the-art performing arts facility, it is also a beautiful historic site with a rich and intriguing past. The Opera House in its present form was built from 1893-1895, following the destruction of the first Opera House in December 1892 by fire. In 1936 the Opera House was renovated into a movie theater. The renovations created 300 jobs for Depression-era workers and cost $120,000. The very first film shown at the Opera House was Earthworm Tractors. Tickets to the first movie were 35 cents for adults and 10 cents for children.